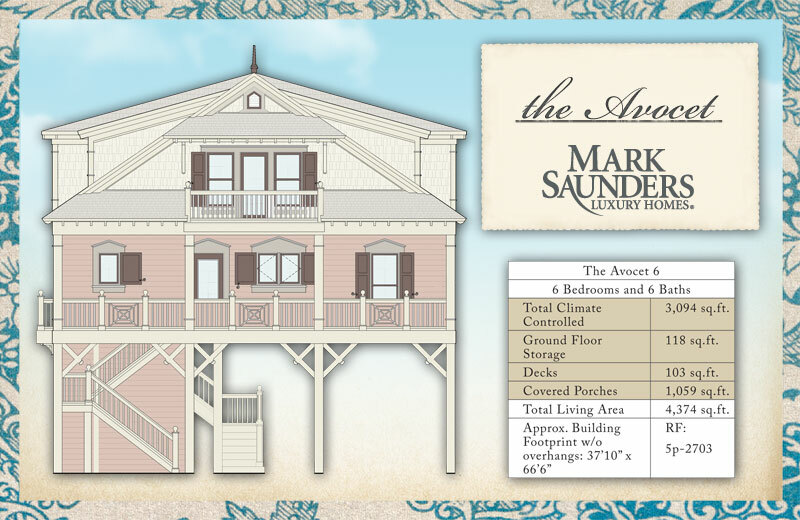 The Avocet is truly reminiscent of the Coastal Carolina Low-Country Home, characterized by exterior architectural details including exposed rafter tails, a mix of shake and lap siding, varying roof pitches, and meticulous custom trim. The flowing home centers around large gathering spaces where families traditionally hang out – the kitchen and dining areas and the great room. 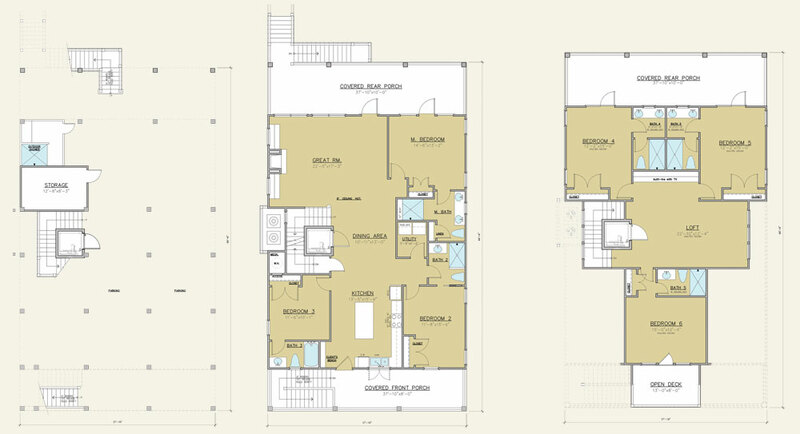 Coupled with ample parking and extended outdoor living spaces, hospitality is natural and easy.